EASTON, PA – Apr. 29, 2013 – Lauren’s First and Goal Foundation is honored to announce that Kyle Flood, head football coach at Rutgers University, will be the featured guest speaker at the 10th Annual LFG Football Camp on Sunday, June 2 at Lafayette College. The one-day football camp for high school players are the primary fundraiser for the foundation, which provides financial support for brain tumor research and cancer services, offers financial and emotional support to families living with pediatric cancer, and increases awareness of the disease. LFG has raised more than $1 million since it was created in 2004. "We are very excited to have Coach Flood as our featured speaker,” said John Loose, LFG founder and defensive coordinator of the Lafayette College football team. “He is a very charismatic individual that will have a great message for the players and coaches. “Coach Flood has always been a huge supporter of the camp and has volunteered many times when he was an assistant at both Rutgers and Delaware,” said Loose. Flood is the reigning co-Big East Coach of the Year after guiding Rutgers to the conference championship in his first year as head coach. The team’s nine wins in 2012 were the most by any first-year coach in Rutgers history. 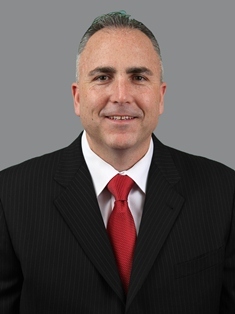 Flood has been coaching the Scarlet Knights’ offensive line since 2005, and assumed the assistant head coach position in 2008. Prior to his arrival at Rutgers, Flood was part of the University of Delaware’s success, including a national championship in 2003. He guided the offensive line for the Blue Hens, while also serving as assistant head coach and recruiting coordinator for three years. Flood is a graduate of Iona College and was a four-year letterwinner and team captain for the Gaels. The LFG Football Camp is open to student-athletes who will be entering grades 9 through 12 this fall. During the event, athletes are divided into small groups and receive instruction in a variety of offensive and defensive skills from about 300 volunteer college coaches from around the country. Along with the PA camp, LFG also sponsors a one-day camp at Otterbein University in Ohio, which will be held on Saturday, June 22. Student-athletes can register for either camp online at www.lfgf.org.